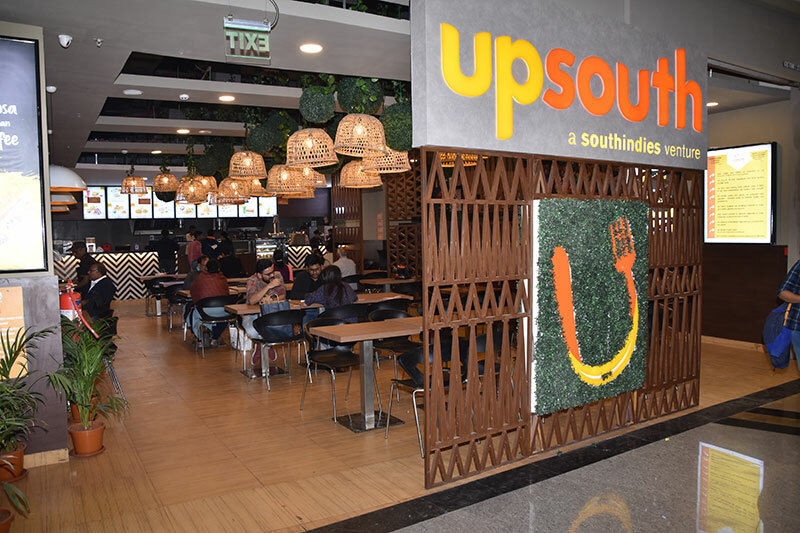 Pune, 5th April, 2019: Upsouth, Pune’s popular South Indian destination has relaunched with a new avatar at Phoenix Market City. A delightful combination of lively interiors and a fresh new pocket friendly menu makes the place ideal for students to grab a quick bite, families to enjoy and office-goers to unwind. Upsouth is building a pattern in the Pune market with great offers value pricing, dynamic Interior, authentic delicious food with lightning speed of service in a hygienic manner and also with a LIVE Kitchen atmosphere. It has set an example with its zestful and contemporary interior at Phoenix Market CityMall which stands different from the traditional one. Its authentic south Indian food includes the all time favourite Idli and Dosa along with its branded signature dishes such as Uthly, Malabariparota sandwich, Sabudana Cheese Vada, Mango Moksha and Healthy Super Grain Paratha. The average spends per person ranges between Rs.80-90 thus keeping the price very competitive.